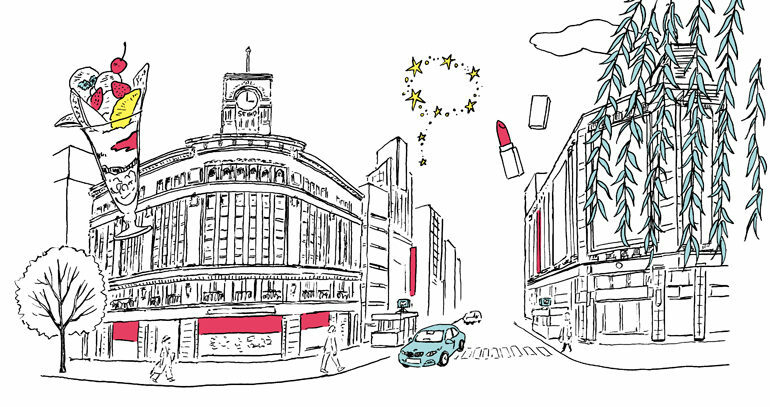 I drew illustrations of Ginza 4ーchome corner. I imagine a car of my friend who must go to shopping there. 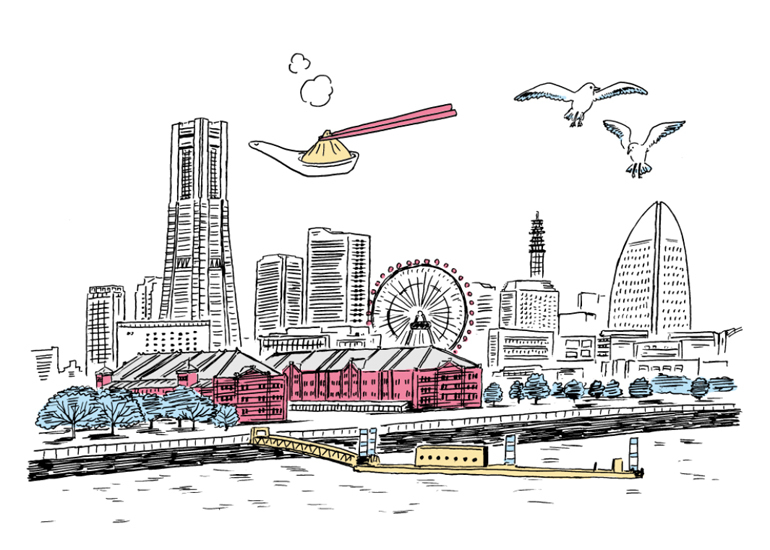 I drew an illustration of Yokohama seaside, too.